The Flipkart Big Diwali sale was a huge hit in 2015 & 2016 as it provided the best deals & offers on a variety of categories like Mobile Phones, Smartphones, TVs, Men's Footwear, Women's Footwear, Laptops, Electronics, Men & Women's Fashion, etc. Flipkart Big Diwali Sale will start on 14th Oct, 2017 and will end on 17th October, 2017. The Sale on TVs and appliances has already started on 10th October, 2017. The Flipkart Festival Dhamaka Days 2017 was held from 5th October, 2017 to 8th October, 2017. Last year alone, Flipkart sold Rs. 1200 Crores worth of mobile phones during the big billion days. 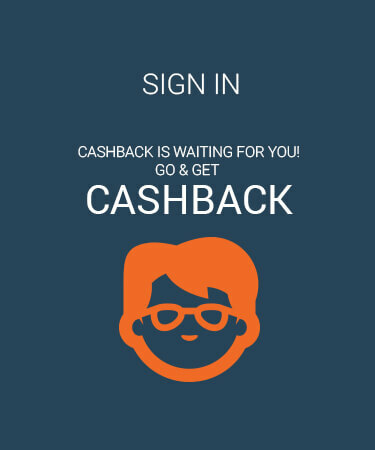 The big billion days comes with additional cashback of up to 10% off, these offers are so tempting that you'll want to stock up in case you need something later. The Big Billion Days 2017 was a huge hit as it offered customers the best deals and discounts on the market on various categories. We at PaisaWapas.com, have identified some best Offers & deals for our users from Flipkart Big Diwali Sale. Keep watching this space to get best offers & deals on Big Diwali Sale. An initiative by Flipkart, Big Diwali Sale is an annual event which brings to you the best prices with great discounts. Across all major categories & this year Flipkart is bringing 10% extra instant discount for HDFC Credit & Debit card users. Flipkart gives you a wide range of options in categories such as mobiles, tablets, electronics, men?s fashion, women?s fashion, kids? fashion, and women?s beauty products. Flipkart organizes this event to bring high quality products at the lowest prices for Indian consumers. The Big Billion Day sale is emerging as one of the biggest online shopping events in the world, Flipkart garnered more than 15 million visits last year in just 15 hours of the opening of the event. The Big Diwali Sale 2017 Sale also includes 10% additional cashback on HDFC Bank Credit and Debit Cards. The sale covers more than 50 categories like clothing, shoes, mobiles & accessories, tablets & laptops, kids clothing and toys, large appliances, jewelry, watches and home furnishings. Other e-commerce players like Snapdeal and Amazon are expected to woo users through jaw-dropping deals, just like last year. 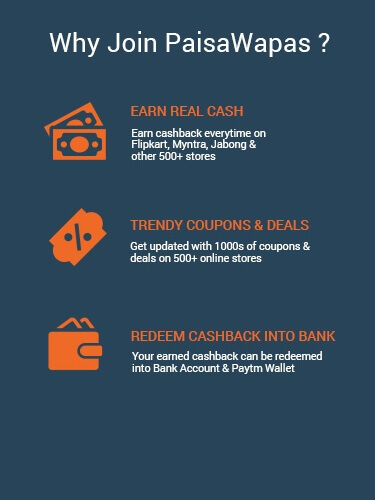 Shop via PaisaWapas.com on Flipkart Big Diwali Sale to get up to 8% extra Reward on your shopping, this reward is on top of the HDFC Bank Credit & Debit card offer on the Big Diwali Sale 2017. Also You can visit to PaisaWapas.com for all latest and flipkart Offers on top Brands.